Here are 6 rules for buying and selling gold, silver and palladium the right way. [You’ll] not only get the best-possible prices but also [know] how to feel good about the quality of your purchase! So writes James DiGeorgia (www.uncommonwisdom.com) in edited excerpts from his original article* entitled 6 Ways to Not Get Ripped off by Your Bullion Dealer. Rule #1: When buying physical bars and coins, really check out the firm. Never rely on the fancy TV ads or color brochures. If the firm doesn’t have a solid Better Business Bureau rating, don’t walk. RUN! Amazingly, you’ll find many firms in the industry have horrible BBB ratings. Look online and make sure that the company doesn’t have pending lawsuits. You’d be shocked how many firms in the precious-metals and rare-coin industry have been bilking clients by not delivering or not paying for product when clients have sent it to them. Rule #2: Make sure you’re not cheated on the fill price. When you purchase gold, silver and platinum bullion, only pay a price that is based on the up-to-the-minute spread that is calculated from the actual up-to-the-minute spot price of the metal. Forget 1% over cost. Too many times, it is nonsense. Many brokers and dealers are charging between 5% and 7% over the 1% their advertising leads investors to believe they are being charged. Rule #3: Make sure the bars and coins you receive when buying are FRESH. Many dealers sell scratched bars and bullion coins that should be in pristine condition. These coins can trade for as little as 3% under spot. When buying bullion coins and bars, don’t accept them with even moderate scuffing or nicks. Dealers can refuse to buy them when you try to sell them, or will discount as much as 15%. Many dealers love to buy impaired-quality bars and coins. They often pay spot or less, dealer-to-dealer, and max out their profit by dumping them on retail buyers who don’t know about this deceptive business practice. Rule #4: Be prepared to wire or deposit funds with a broker or dealer before they lock in your buy price. Dealers who take credit cards for bullion purchases mark up their coins and bars as much as 25% to cover the 3% to 4% merchant charges. If you have to use a credit card to buy precious metals, you should NOT be buying. That isn’t just on the buy side. When you sell rare coins and precious metals, ALWAYS ask for immediate payment when you deliver. It shouldn’t take more than three days for your check to be mailed. Allow a $15 Federal Express charge, and have the check sent for next-day delivery. 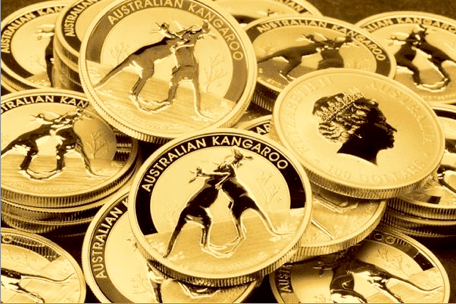 Rule #5: Do not expect a return privilege on bullion coins and bars. There is no return privilege with bullion coins or bars. The price of gold, silver and platinum fluctuates quickly. In a wildly active precious-metals market, all sales and purchases are final from any dealer. Rule #6: When paying for, or shipping, rare coins and precious metals, use the U.S. POST OFFICE ONLY. When paying for, or shipping, rare coins and precious metals, use the U.S. POST OFFICE ONLY. If there’s a problem and you have paid for or sent your property to a dealer and you used Federal Express, you will discover there is no Postmaster General at Federal Express. More than a few dealers out there right now are using this loophole to steal from investors. Getting paid via Federal Express is 100% fine, but absolutely not when selling or paying. Memorize the above rules and use them with every future buy and sell transaction and you’ll be able to protect yourself against getting ripped off from a less-than-trustworthy bullion broker or dealer. If you’re interested in physical gold, I recommend you buy small gold bars which are available in a wide range of weights and can be bought for as little as 1 percent over the price of gold. [That being said, this article outlines five rules to follow before, during and after the purchase process.] Words: 8133. 6. What Do Gold Measurements “Troy” Ounce and “Karat” Really Mean? Thanks for your valuable guideline. I was wondering that on which I should do investment, a gold or silver? It’s really very tricky to make investment on precious metals. I think one should always buy the bullions which make sense to them. Buying gold coins or bar without the understanding of its value is worthless. Yeah, it is very important to know that we can choose to buy coins online from websites or the popular auction site EBAY. Because it will help us to inroduce a legal dealer.